Pretty Me Up! : Lush Holiday Goodies!! Make a frothy blanket of apple scented “snow” for your bath. 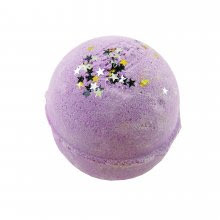 The fragrance of this lovely Bath Bomb is inspired by the tempting apple a certain wicked stepmother tricked her beautiful stepdaughter into eating. We assure you however, that this Bath Bomb is not full of poison to put you to sleep. It is made with an uplifting fragrance of refreshing oranges, apples and romantic rose and is meant to awake you if you've been under a spell (or are just feeling tired). This one is quite a frothy bath as we've grated in some bubble bar mixture, so you can bathe in apple scented snow and feel fairest of them all. An herbal hangover cure from Santa, with twinkly stars to make you feel better. We brought back our favourite Christmas detoxifying Bath Bomb because we often find ourselves drinking a few too many around the holiday season. We make it with juniperberries and fennel oils to help you overcome the sensitivity to jingling bells and other loud noises the day after the Christmas Party. Kids and non-drinkers alike can still enjoy this Bath Bomb to help them keep up their holiday cheer. Get one, bathe in its purple waters with gold, silver and black stars, and let it work its magic. 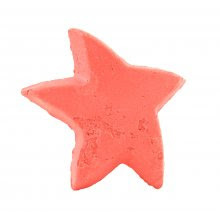 Our pink Christmas star melts in your bath for some sweet, relaxing, lightly frothing luxury. Follow this star and you'll be sure to find your way home to soft, skin. This rich and creamy Luxury Bath Melt is scented with the best-selling Snow Fairy fragrance of vanilla and candy. To make it even more irresistible, Helen added in helpings of icing sugar to give the bathwater a delectable milky feel and spoonfuls of starflower oil to soothe dry and troubled skin. It's deeply softening and leaves you smelling sweet as sugar. It's the icing on the cake of Snow Fairies. If it's sweets your craving, crumble this creamy bar into your tub and climb into its abundant, fluffy, vanilla-candy scented bubbles. It was a bit tricky putting the curl into the top of the Candy Cane, so we left ours straight, but it's just as satisfying as the real thing. If you love the smell of the Creamy Candy Bubble Bar, you'll adore this one as they smell just the same (except this one is full of Christmas spirit). Sparkly, candy floss pink, sweet-as-sugar shower gel for fruity, fluffy fairies. Christmas wouldn't be Christmas without our Snow Fairy Shower Gel; this one makes a come-back every year because it's so very popular. 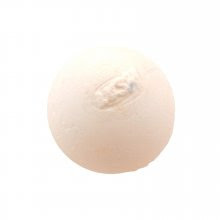 The fragrance is sweet as pink cotton candy, mixed with soothing vanilla. If you're a Snow Fairy addict, you better check out two new additions to the Snow Fairy family this Christmas: Star Melt and Snow Fairy Solid Perfume. Best stock up on these before the end of the season if you want them to last you through till next Christmas. Mmmmm LUSH!! Can't do anything "bath" here, but their soaps and lotions are yummy!! 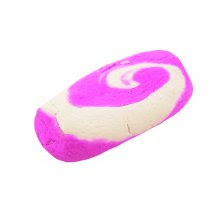 oohhh I am so going to our Lush website now, those bath bombs are just too pretty for words!! I discovered Lush recently, and I love it. Never tried their bath bombs though, but the one you posted about "Jingle spells" seems great. Their stuff looks amazing! I can't wait to try Lush out for the first time soon.